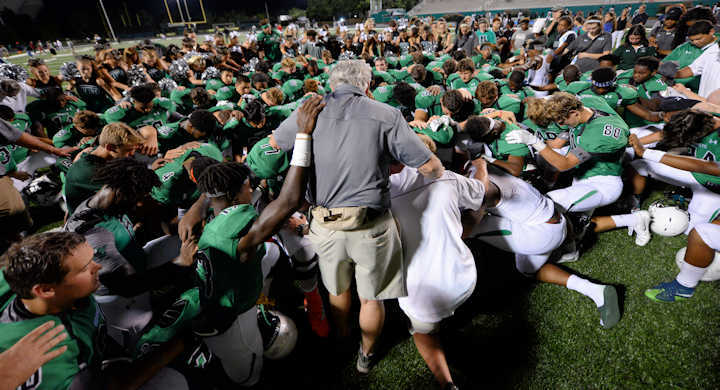 ROSWELL— After last year’s nearly perfect season, the Roswell Hornets met everyone’s high expectations in their first preseason game on Aug. 12 with a convincing victory against fellow Fulton County team Langston Hughes. 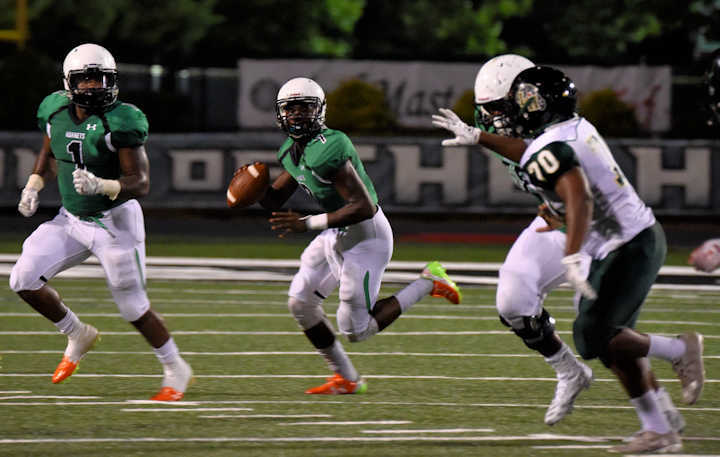 Friday’s game marked the Roswell debut of senior quarterback Malik Willis, who transferred to Roswell this year from Westlake High in Atlanta. 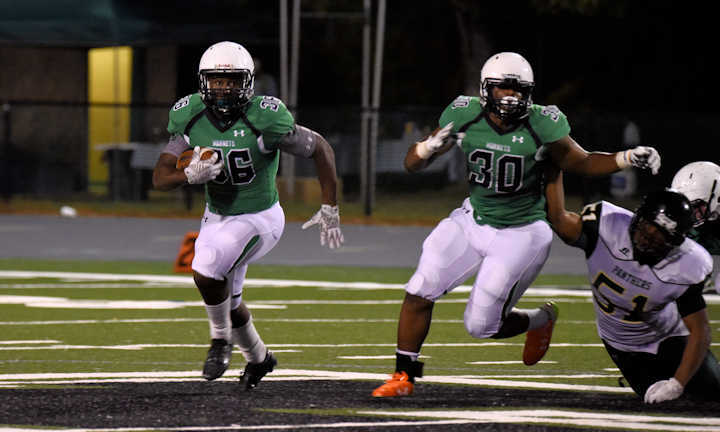 Willis could not have made much of a better first impression than he did, electrifying the crowd with a 70-yard run up the middle for a touchdown in the first 12 seconds of the game. On their next drive of the quarter, the Hornets delivered another touchdown in a 5-play drive, featuring senior running back Sheldon Evans catching two passes for a total gain of 28 yards, and a 23-yard quarterback sneak from Willis. 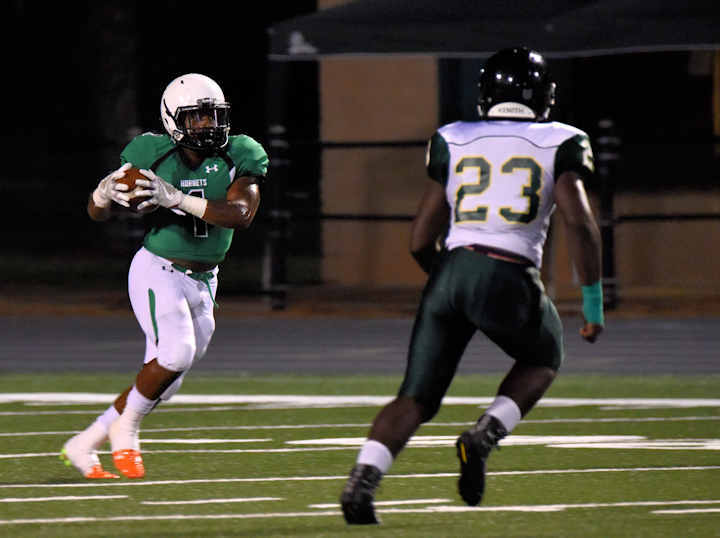 The drive was capped on a 6-yard rush into the endzone from junior Christian Ford. The Hornets started off the second quarter with another scoring drive, this time finishing on a 1-yard rush from Evans. With a three-touchdown lead over the Panthers, Head Coach John Ford let some of the second-string talent rack up some in-game experience. Junior Walt Warren took over at the helm as quarterback with about five minutes left in the quarter, and led the team to their fourth touchdown, with senior Jayden Comma catching the ball in the end zone for the score. 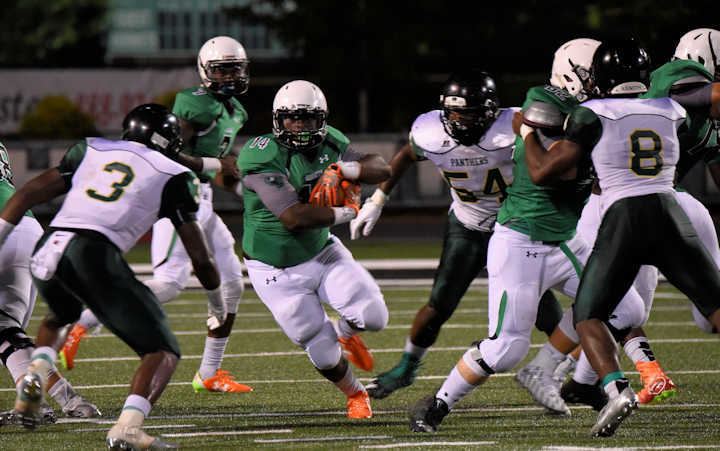 Langston Hughes’ lone touchdown came in the waning minutes of the second quarter on a 38-yard touchdown reception. As time expired, the Hornets responded with a 52-yard field goal from senior kicker Turner Barckhoff and took a 31-7 lead into the locker room. 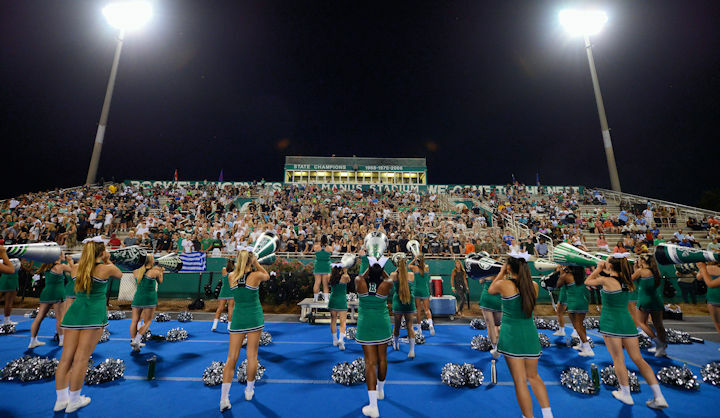 A scoreless and largely uneventful third quarter ended with Roswell a yard away from the endzone on fourth-and-goal, which they turned over on downs on the first play of the fourth. 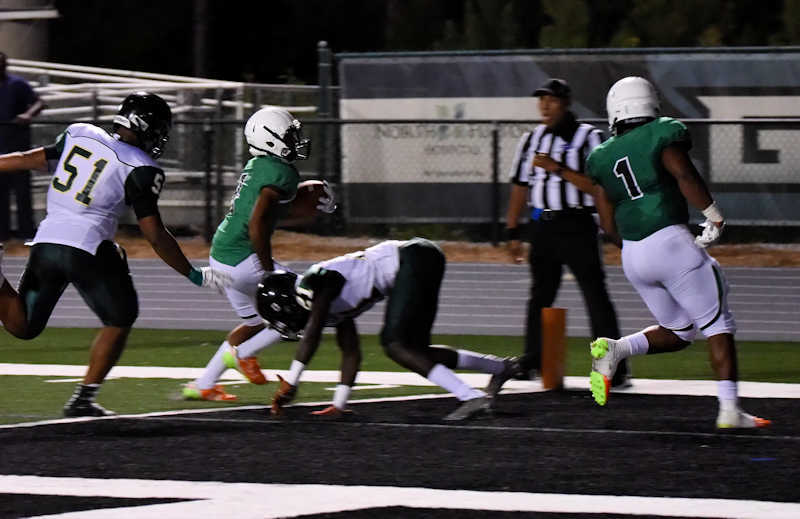 The last few minutes of the game saw an impressive performance from sophomore Kamonty Jett, who rushed for 34 yards on Roswell’s final offensive series, setting up junior Kevin Hong’s 1-yard TD rush for the last touchdown of the game. A failed extra point conversion left the final score at 37-7. The defense also lived up to expectations throughout the game, with seniors Koby Cumberlander and Max Boyd recording sacks, and excellent pass coverage provided by senior defensive back Xavier McKinney and junior safety Jesse Bridgman. 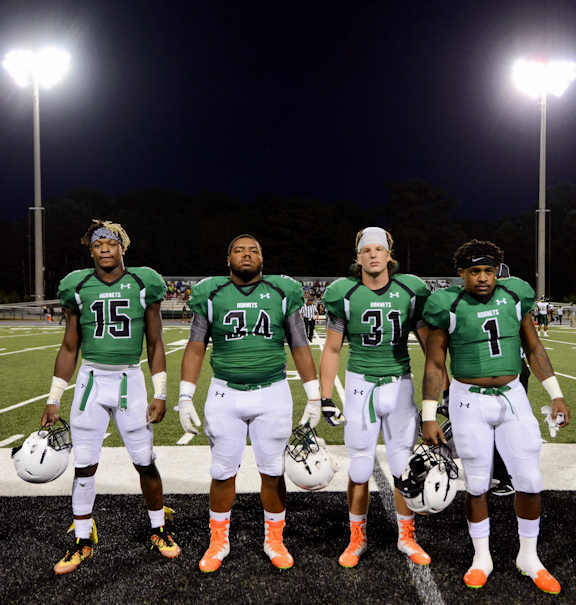 Roswell will next face off against the Buford Wolves on Aug. 19, 5:45 PM at McEachern High School’s Cantrell Stadium as part of the Corky Kell Classic Tournament. Come out and support of your Hornets as they begin their 2016 campaign!